In this July file photo, Eighth Street and Cooper Avenue in downtown Glenwood Springs saw milling and a new asphalt overlay. City officials are in early discussions about funding similar street maintenance work in future years via increased sales taxes. 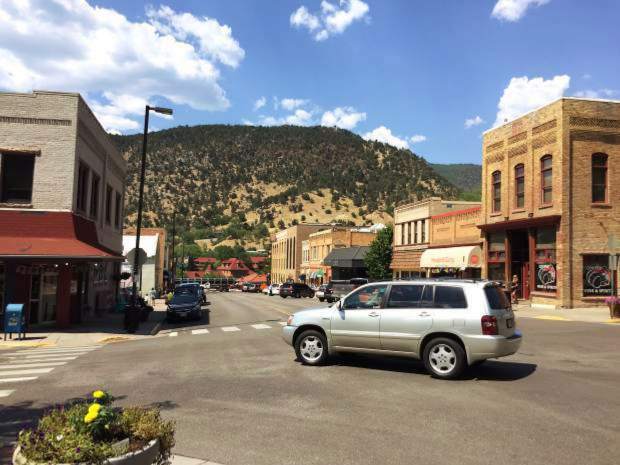 City of Glenwood Springs officials, with input from the Glenwood Chamber Resort Association’s Community on the Move committee, are debating the feasibility of a streets sales tax ballot question next April as part of the regular municipal election. 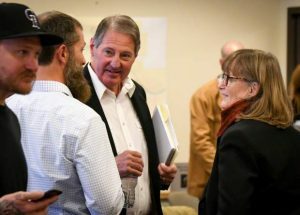 On Monday, Glenwood Springs’ Financial Advisory Board (FAB) met with city council members, city staff and Chamber representatives to discuss the possibility. City Council already went back and forth earlier this year on whether to put a streets tax question on this past November’s ballot, but ultimately decided against it for two reasons. 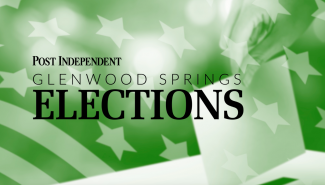 One, councilors wanted to focus on the passage of Ballot Issues 2A and 6B, which extended property tax support for fire and emergency services for Glenwood Springs and the rural fire district. 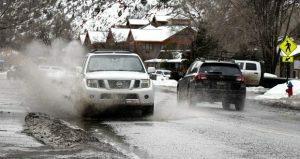 And, two, with the fall ballot having already been as long as the number of streets in Glenwood Springs in need of dire repair, asking voters to support another tax on top of those already being posed did not seem wise, the council concluded. According to Matthew Langhorst, Glenwood Springs’ co-director of public works, that half cent currently generates $2.6 million per year. Langhorst explained that, according to a pavement surface evaluation and rating (PASER) system prepared by an outside consultant, Glenwood’s roadway system held an average PASER rating of four. The scale rates a brand new road with score of 10, while a gravel road receives a one. 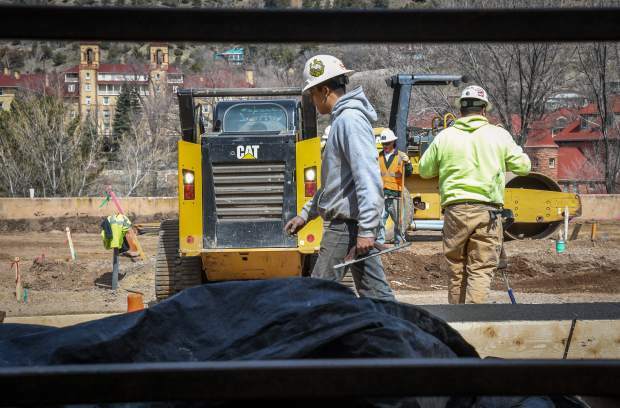 He explained that Glenwood Springs has 6.5 million square feet of pavement to maintain, and with the current funding amounts the average PASER level of 4 will only improve year over year by a very small amount. 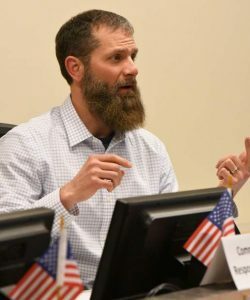 “From the FAB board meeting … it appears that we are looking at an additional 0.75 percent tax on top of the existing 0.5 percent, but this will need to be brought back to council with a formal discussion and vote,” Langhorst added. Out of the 225 respondents for that specific question, 69 percent said they would vote “yes” for the half-cent increase, while 29 percent said they would vote “no,” and 2 percent did not know whether they would favor it, or not. When asked if they would support a three-fourths cent sales tax increase, 61 percent of voters replied “yes,” 36 percent replied “no,” and 3 percent were unsure. The same study illustrated that 57 percent of those polled held a negative view of the city’s streets, a statistic corroborated by Glenwood City Councilor Jim Ingraham. Arguing how tourists would fund a majority of the money that would go toward repairing neighborhood streets, Godes said of the three-fourths cent sales tax, “70 percent of this tax is paid by people who live outside the 81601 area code. It is as close to a free ride as we are going to get,” he said.